51 ... But his mother treasured all these things in her heart. Although some traditions consider Mary to be a saint or immaculate - there is simply no Biblical truth for this idea - she was a fallible person just like you and me. But there is a lot we can learn from her faithfulness and devotion. Later, when John the Baptist has done a happy dance in Elizabeth's womb, Mary bursts forth with what we now call "the Magnificat" - a hymn which reflects a significant understanding of who God is, what the Messiah came to do, and her part in all of it. Mary is Mom to the Son of God and is present at the cross where, as Simeon prophesied, a sword would pierce her own soul. She then became an important part of the life of the early church and her son, James would emerge as the head of the church. But what was Mary's secret? I believe it is the attitude of thoughtful wonder. Luke affirms this twice over in our readings. Mary observed the birth, the shepherds, the magi and pondered and treasured them. She reflected on the 12 year old Jesus surrounded by flabbergasted teachers of the law and treasured these thoughts. We can know the Christmas story. But have we pondered and treasured it? Maybe we should resolve to enter into this Advent season with an attitude of thoughtful wonder. So what if the the shops are decorating and playing carols already - can we not use this as an opportunity to reflect on the wonder of a Baby's birth that is still impacting the world and prompting acts of kindness and beauty?? Dust off the carols and the nativity scenes, re-read the gospel accounts of Jesus birth, marvel at John's poetic prologue about the "Word made Flesh," immerse yourself in the wonderful celebration of the greatest gift ever given to humankind. See the Christmas story through the eyes of a child. Treasure these thoughts and ponder them. This is the end of the EmmDev eDevotions for 2017. Thank you for reading and for the many messages of encouragement I have received from many of you. I have loved our journey together. And there were shepherds living out in the fields nearby, keeping watch over their flocks at night. 9 An angel of the Lord appeared to them, and the glory of the Lord shone around them, and they were terrified. 10 But the angel said to them, "Do not be afraid. I bring you good news of great joy that will be for all the people. 11 Today in the town of David a Saviour has been born to you; he is Christ the Lord. 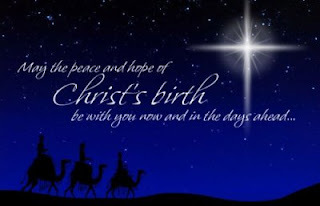 12 This will be a sign to you: You will find a baby wrapped in cloths and lying in a manger." ...15 When the angels had left them and gone into heaven, the shepherds said to one another, "Let's go to Bethlehem and see this thing that has happened, which the Lord has told us about." Scholars are divided about the shepherds: Some identify them as being on the criminal and deviant fringe of society - dishonest, unscrupulous, thieving, cruel, irreverent and undesirable. Other scholars suggest that they were the shepherds in charge of the temple passover lambs and that, as such, they were a special group of shepherds with a holy task. I prefer the first option. If Jesus came to seek and save the lost, then it is fitting that the Good News of His birth would be extended to those who were far from God. If these were the elite passover-lambs-shepherds then the implication is that the Good News is only for those that are good enough. As nice as the theological connection with Passover Lambs and Jesus-the-Lamb-of-God is, I think the angel's use of "Good News" (the Greek word is where we get "gospel" from) is a clue to the nature of this encounter. The shepherds, after seeing the host of angels, are obedient. One can only imagine that the incredible joy of the angels made the shepherds brave enough and hungry enough to "go" and "see." They see Jesus and it changes their lives! I just imagine these rough tough men holding the new-born Jesus in their arms, maybe caressing a smooth cheek with a rough knuckle with tears coursing down their cheeks - "God has come to us - He has really come!" They start telling others. We should not forget that Bethlehem was full because of the census. One has to imagine that there were some soldiers and representatives of Rome officiating over the census. The disturbance the shepherds cause in the night would cause some ripples - but this does not stop them. Others take them seriously. The shepherds are not dismissed as mischievous, crazy or intoxicated - people are amazed at the message of the shepherds and it is in no small part because it is obvious that something special has happened to these men. We did not expect or deserve the Good News of Jesus' coming, but we heard the news and "went" and "saw" and it changed our lives. Now it's up to us to reflect that glory to the world. In a time where "Seasons Greetings" and "Happy Holidays" are the way in which the world wants us to think about Advent and Christ's birth, it is up to us to "go" and "see". And we should "see" long and hard enough that it once again fills us with joy and peace and wonder that we just can't keep to ourselves! If you want to receive these devotions in email, sign up at http://eepurl.com/bjK8GT. After Jesus was born in Bethlehem in Judea, during the time of King Herod, Magi from the east came to Jerusalem 2 and asked, "Where is the one who has been born king of the Jews? We saw his star in the east and have come to worship him." These Magi were attentive to the signs that were visible in nature and instead of exploiting nature's signposts for their own ends, they were simply obedient to what they heard and saw. Imagine packing up and heading off on a long and dangerous journey just to follow a star! (If you haven't read TS Elliot's "Journey of the Magi" you should read it after this...) The Magi were not only obedient to God's prompting, but they were courageous enough to head off on an adventurous journey and gutsy enough to defy Herod's wishes. What would the modern day Magi look like today? And how could we be like them? Secondly we need to be sensitive and obedient to the promptings and responsive to the signs and needs that God is drawing to our attention. We need to be willing to go and willing to be prompted. The Magi followed the star's guidance, but also listened to the dream they had about Herod. But their greatest sensitivity is shown in the gifts they bring: Gold symbolising Jesus' kingship, Myrrh which anticipated Jesus sacrificial death and Frankincense which pointed to His role as our priest. Thirdly, we need a courageous adventurousness that would take us into the unknown and uncharted, just because we believe that we will find what God is doing there and that we would do it with a sense of worshipful extravagance! After Herod died, an angel of the Lord appeared in a dream to Joseph in Egypt 20 and said, "Get up, take the child and his mother and go to the land of Israel, for those who were trying to take the child's life are dead." The next response to Christmas that I would like to explore is that of Joseph - the step-father of Jesus. The Scriptures don't tell us much about Joseph and it seems that by the time Jesus began His public ministry, Joseph had already died. Matthew describes him as a righteous man, who, when he heard that Mary was pregnant, decided to divorce her quietly rather than create a public scandal that could have led to her being stoned. When God speaks to him in a dream he responds immediately and lovingly takes care of Mary and stands by her in the journey to Bethlehem and the birth of Jesus. He and Mary fulfil all the purification rituals in the temple, offering the sacrifices of the poorest of the poor. God warns Joseph to flee to Egypt because Herod was planning to kill all the infants in Bethlehem and he undertakes this hazardous journey. God's angel tells Joseph it is safe to return to Israel. Joseph obeys his instincts about Archelaus the son of Herod and, in so doing, fulfils the prophecy of Jesus being a Nazarene. Joseph is an unsung hero. In a culture that was strongly patriarchal, Joseph was the last to hear the real truth about Mary's pregnancy. He puts his "manly pride" firmly in his back pocket and his resolve to divorce her quietly speaks of righteousness, maturity and his true and generous love for Mary. He plays a back-seat role and does so solidly and reliably. Our world needs many Josephs. All of Joseph's promptings came in the form of angelic dreams. It takes a lot of courage to act on a dream. It would be so easy to disregard a dream as the after-effects of last night's pizza but Joseph is courageous enough to obey. Joseph is a thoughtful and reflective man. This is revealed in his resolve to divorce Mary quietly and his consideration of the danger represented by Archelaus. This thoughtfulness is used by God. Jesus was known as a carpenter. This means that He learned this significant craft and trade from His step-father Joseph. It speaks volumes of Joseph's character that he had both the humility and confidence to raise and train the One he knew to be the Son of God. At the start of Advent, Joseph is the character we must hold close to our hearts. Like Joseph we must know that it is not about us. We should love generously and be open and sensitive to the prompting of the Spirit. We should use our God-given common sense to live simply and cautiously - avoiding danger and temptation - trusting that God can use our decisions. Let's remember that being parents, grand-parents, guides, teachers and mentors can be one of the greatest legacies we can ever leave. Elizabeth was the barren and aged wife of the priest Zechariah. She was six months pregnant as the result of a promise given to her husband by an angel. Mary was a young peasant girl engaged to Joseph the carpenter. She was a relative of Elizabeth and the angel told her that she was supernaturally pregnant with the long-awaited Messiah. Mary is famous for her faithful response which is especially illustrated by her song of praise which we call the "Magnificat". Most of the time we assume that Mary's response: "I am the Lord's servant, may it be to me as you have said" was immediately followed by the Magnificat. But it isn't. But Elizabeth must have been a special person because Mary goes to her and stays for three months. When Mary arrives, just the sound of her voice causes baby-John-inside-Elizabeth to dance and this causes Elizabeth to recognise what God is doing in Mary. It is this affirmation and this delight that causes Mary to "magnificate"! Are we "safe spaces" for others? Do they feel that they can come to us when they're in trouble? Are we hospitable people, ready to open our lives to others? When we see God at work are we ready to exclaim and affirm? Elizabeth's "empathetic enthusiasm" moved Mary from fear, uncertainty and doubt to Magnificat. I tried to think about how to conclude this powerful book. Faith-full Hannah who longed and prayed and trusted. Elkanah her husband who was attentive and humble and willing to play second fiddle. Eli the priest, with his "hits and misses": Hearing what God was saying to Hannah and to Samuel, but missing it with his boys and his appetite. The ark of the covenant teaches us a lot because of the extremes of how people treated it. On the one hand the "fundamentalists" treated it like a remote control for God and on the other hand the "liberals" treated it like a tourist attraction. Both lost sight of the ark's role as a reminder of God's powerful presence. Samuel, the courageous priest and prophet who held the nation and king accountable and ended well. Saul - the tragic king who started so well, but let his insecurity turn him into a shadow of what he could have been. Jonathan, a man of great faith and trust who stays loyal to his father and his friend David. David - the man after God's heart - who stays close to God, acts wisely, cares for people, and refuses to take shortcuts. Our hearts, which, in Hebrew culture, are the "control centre" of life, are very very very very important. What is in our hearts will impact our lives and the lives of those around us. It may even impact a nation. May we draw near to God in our hearts and in our lives. May we "guard our hearts" for they are the "well-spring" of life. There will be no devs next week as I take a short break from writing. EmmDev 2017-11-16 [Lessons from 1 Samuel] Seeing the best in people. Seeing the best in people. The Philistines found the bodies of Saul and his sons and desecrated them. Looking back on Saul's long list of failures, we might be tempted to say "he got what he deserved." But the men of Jabesh Gilead thought differently. Jabesh Gilead was a frontier town east of the Jordan. Years earlier, when Saul was a brand new king, the town was being besieged by the Ammonites and when they offered to surrender because of the overwhelming odds, the Ammonites made gouging out the right eye of every citizen the condition of peaceful surrender. The elders of Jabesh Gilead sent out a cry for help. The cry for help reached the ears of a young king Saul as he was ploughing his fields: "When Saul heard their words, the Spirit of God came upon him in power, and he burned with anger. 7 He took a pair of oxen, cut them into pieces, and sent the pieces by messengers throughout Israel, proclaiming, "This is what will be done to the oxen of anyone who does not follow Saul and Samuel." (1Sam11:6-7) The Israelites responded immediately and rescued Jabesh Gilead. This was Saul at his best. And the people of Jabesh Gilead never forgot it. In spite of all of Saul's failures they take a huge risk to do the honourable thing. They chose to remember Saul at his best and not Saul at his worst. Let's face it, if anyone had an excuse to trash-talk Saul in death, it would have been David. We could imagine him putting on a stage-whisper and saying: "Well, one doesn't want to speak ill of the dead, but Saul...." But this is not David's way and it is not the way of the men of Jabesh Gilead. May you and I also become good at seeing the best in all people. While David found strength in the Lord and prayed for guidance, Saul sought to consult the dead by asking the Witch of Endor to summon Samuel from the grave. This is just the last of Saul's many failures. Although he had great potential and was even filled with God's Spirit at the start of his kingship, Saul usurped Samuel's role as high priest, disobeyed the commands of God, cared too much about what people thought of him, gave a foothold to the dark spirit of depression that came upon him, became obsessed with seeing David as an enemy and, although he reconciled with David more than once, he would revert to blind insecurity-driven unreasonable hatred. Eventually Saul's bad choices lead to a war that he fights without God's blessing and he reaps the fruit of a life of selfish self-seeking arrogance. Because he is Israel's king, his actions have a wider consequence. His death results in defeat for Israel and the loss of a number of Israelite cities. The responsibility of leadership is high and the consequences of leadership failure extend beyond the individual. Is there any of Saul in me? Do I try to play roles that are not mine to play? Do I "cut corners", "bend rules" or "take shortcuts" for my own convenience? Do I care too much about what others think? Do I nurture negative thought spirals? Do I let things fester in relationships and begin to see people as enemies? Do I keep coming back to my insecurities even after being reassured? Do I go looking for help in the wrong places? May we be brave enough to look into this mirror and tackle the issues we see. One needs to bear in mind that while David has been clashing with the Amalekites, the Israelites are fighting the Philistines. As we will see tomorrow, this battle will end in defeat for the Israelites and Saul and his sons will perish, leaving Israel without a king. It was known that David had previously aligned himself with Achish of the Philistines and so there would be a cloud over David's head: Had he fought with the Philistines against the Israelites? By sending part of the Amalekite plunder to the elders of Judah, David is establishing his alibi and protecting his credibility. His gifts were not so much a bribe as evidence that he had not been involved in the defeat of Israel and the death of Saul. David is careful and wise. He protected his credibility. Josh McDowell, a famous Christian author and speaker, shares a story about how easily credibility could be lost. He was doing a tour - speaking at university campuses - and, as they returned to their hotel, he asked a colleague to check his room before he himself entered. As the man entered Josh's room, he was grabbed and thrown onto the bed into the arms of a scantily clad woman and camera flashes lit up the room. The photos would have damaged Josh's credibility, but the whole thing had backfired. It was simple caution that protected him. They found an Egyptian in a field and brought him to David. They gave him water to drink and food to eat-- 12 part of a cake of pressed figs and two cakes of raisins. He ate and was revived, for he had not eaten any food or drunk any water for three days and three nights. 13 David asked him, "To whom do you belong, and where do you come from?" He said, "I am an Egyptian, the slave of an Amalekite. My master abandoned me when I became ill three days ago. 14 We raided the Negev of the Kerethites and the territory belonging to Judah and the Negev of Caleb. And we burned Ziklag." 15 David asked him, "Can you lead me down to this raiding party?" David and his posse (now reduced by a third) come across a half-dead man in the wilderness. David and his men are anxious, angry and in "hot-pursuit" mode. One would easily expect them to run the sword through this poor unfortunate - put him out of his misery and move on - after all... they've got family to rescue and an enemy to fight. But amazingly David and his (400) men pause. They give the man water and food and give him time to revive. And it's worth it - the man provides them valuable information. He could lead them to their hideout. The edge and morale boost this gives them (especially after losing a third of the team) is significant. But they could have missed it. They could have rushed past the man. They could have killed him. Fortunately they were attentive, compassionate and wise. God often works in little and unexpected ways. Little hints and "heads ups" that can make all the difference. Attentiveness, wisdom and compassion paid off in buckets for David and his men. Sometimes, when we are "on a mission", we miss moments that God could use mightily to help us. So let us err on the side of attentiveness, wisdom and compassion - it could make all the difference! David and the six hundred men with him came to the Besor Ravine, where some stayed behind, 10 for two hundred men were too exhausted to cross the ravine. But David and four hundred men continued the pursuit. ... (After the rescue) 21 Then David came to the two hundred men who had been too exhausted to follow him and who were left behind at the Besor Ravine. They came out to meet David and the people with him. As David and his men approached, he greeted them. 22 But all the evil men and troublemakers among David's followers said, "Because they did not go out with us, we will not share with them the plunder we recovered. However, each man may take his wife and children and go." When we're in a storm - and even in the eye of the storm we can often become very sharp and focussed. We become 'efficient', 'effective' and oft-times intolerant of weakness. And that's putting it kindly... Sometimes we become rude, obnoxious and unkind. David doesn't fall into this trap. Of his posse of 600 men, a third were just not able to keep up. Maybe some of them were youngsters who had not yet developed the stamina that comes with experience. Maybe some of them were on the other end of the spectrum, just a little too old to manage the relentless pace David was setting. Maybe some of them had injuries that limited them. And so David leaves them with the supplies, and, thus lightened of load, they continue the pursuit. Once they have pounced on the Amalekites and rescued their kin, they return to the 200 who couldn't keep up. Some of David's men stirred up trouble - their greed speaking loudly - they could get 50% more plunder if they could exclude the group that stayed behind. Their proposal was hard-hearted, demeaning and divisive. You can hear their arguments: "We did the hard work, we took the risks, we rescued their families - they don't get their stuff back and they don't share in the plunder. They can take their families and go." David intervenes decisively and wisely. He points out that the 200 had guarded the supplies (which helped the 400 go faster). He makes a rule - a principle - that protects everyone's dignity and prevents the abuse of power in the storm in this moment and in the future. Most importantly, in the eye of the storm, David is kind. He builds his team and protects the weak. Then David said to Abiathar the priest, the son of Ahimelech, "Bring me the ephod." Abiathar brought it to him, 8 and David inquired of the LORD, "Shall I pursue this raiding party? Will I overtake them?" "Pursue them," he answered. "You will certainly overtake them and succeed in the rescue." As we noted yesterday, David chose not to try and face the disaster in his own strength. He not only handed the problem over to God, but he allowed God to strengthen him with divine grace and provision. And God did it! The next step that David takes in the eye of the storm is to ask for guidance. David asked for the ephod (a priestly garment with gems that glowed when you asked yes-no questions) which helped him as he sought God's will. We don't have anything like the ephod today and so we have to ask ourselves what the ephod represented. The ephod was part of the regular disciplined structured corporate worship of the Hebrews. It also represented the corporate nature of the faith as it was studded with jewels that represented the 12 tribes. One of the best places to seek guidance is in the regular structured disciplined worship structures in our lives - reading the scriptures, our daily devotions, our fellowship group, our worship in church and the counsel of wise Christians. These are the familiar spaces that God uses to reveal his will to us. Put yourself in David's shoes: His relatives, and the relatives of all his men, were hostages of the Amelekites. Pursuing the Amelekites could be very risky for the hostages but doing nothing could be as disastrous. What must he do? Pursue or wait for ransom demands? Before David does anything else - he seeks God's will. Now the ephod could only indicate "Yes" or "No". But David got two messages: "Yes - Pursue them" and "You will certainly overtake them and succeed in the rescue." Where did the second message come from? Was it words that God put in Abiathar the priest's mouth, or was it just a feeling (a conviction or whisper) that David had in his heart? We don't know for certain, but I think it was just one of those whispers that God drops in our hearts. We have seen the extent of the storm David was in. If we tally up the knocks that he has taken in what many would consider a "brutal war of attrition", with the final straw being his men turning on him, we would completely understand it if David simply cracked at this point. But, at a point where he would have been physically and emotionally exhausted (If you've wept until there are no tears left you know what that's like) and where he must have been caught completely on the back foot, David doesn't crack, but finds strength in the Lord. What does this look like? How does it work? If we were making a movie we might see David standing the middle of the wrecked and burnt out village wild-eyed and ready to crack when he pauses and says "God help me" at which point a shaft of light shines down on him and inspirational music crescendos in the background. David's face becomes peaceful and he rouses his men with a "William Wallace speech." How does "finding strength in God" look in real life?? I'm not David, but I've faced some challenges and walked with others who are going through raging rivers. I've learned that finding strength in God is not melodramatic and doesn't involve hours of prayer, church, or Bible reading. "Finding strength in God" involves two things: reaching out for God and taking the next step. Reaching out for God is an instinctive gut thing. "Lord I'm at the end of my tether. I don't understand what you are doing and this pain is beyond what I can bear. So I just know I need your help." It's not a prayer as much as it is simply handing over. Taking the next step may mean getting up when you want to hide under your duvet. It may mean eating some food and going back to the books. It may mean grabbing a few hours of sleep and then going to care for your loved one. It may mean resting up and going slowly before your next round of chemo. It may mean just plodding on, but knowing you are not alone. I watched a friend go through a series of heartbreaks. It threw him into a deep depression and, for a while, it looked like he might get stuck there. But, at his lowest ebb one afternoon, he put on some shoes and went for a walk. He told me that, as he walked, he prayed a very very eloquent prayer: "Please help me". He prayed that prayer over and over for the whole walk. The next day he went for a walk again and prayed the same prayer again. He walked again the day after that and the day after that. His prayers got longer and he got stronger in body, soul and spirit. He looks back on that first walk and his "cry of the heart" and says "That's where I found strength in the Lord my God." Finding strength isn't often accompanied with bright light, music and instant triumphant faith. It's often just the dogged courage to take one more step and know that God will be there with us. When David and his men came to Ziklag, they found it destroyed by fire and their wives and sons and daughters taken captive. 4 So David and his men wept aloud until they had no strength left to weep. 5 David's two wives had been captured--Ahinoam of Jezreel and Abigail, the widow of Nabal of Carmel. 6 David was greatly distressed because the men were talking of stoning him; each one was bitter in spirit because of his sons and daughters. But David found strength in the LORD his God. We all know about the eye of the storm - that quiet centre in the midst of the swirling turbulence of a hurricane or a tornado. It is often the moment that makes the difference between death and life, between destruction and survival. David is in a perfect storm. Can you imagine the horror of the moment? He's been playing the very dangerous "double-agent" game. He's been under constant pressure, just one slip, one loose tongue and it would have been "game over" for him. Then he and his faithful warriors found themselves in the middle of the massive Philistine army, being regarded with suspicion by four out of five kings and they could have been snuffed out with the snap of a king's fingers. Then a supernatural reprieve comes and they're heading home! And then there's smoke on the horizon - too much to just be cooking fires... Imagine the adrenaline starting to churn in their systems... Blood pressure rising and pulses increasing... They get to their village and it's burnt to the ground and their loved ones are gone - not dead, but gone! "I knew we were taking too many chances"
"We made too many enemies"
"He let the success go to his head"
"He should have known better..."
In their grief and pain, David's faithful band of warriors are ready to stone him. Their pain is so raw and overwhelming that they are on the verge of doing something completely irrational. It's a perfect storm - they have lost everything. But David finds the eye of the storm. He finds strength in the Lord His God. We'll look at the details of how David found strength next week. David and his men reached Ziklag on the third day. Now the Amalekites had raided the Negev and Ziklag. They had attacked Ziklag and burned it, 2 and had taken captive the women and all who were in it, both young and old. They killed none of them, but carried them off as they went on their way. Yesterday we saw how God delivered David from a difficult predicament, where, in the midst of the massive Philistine army, he would have had to fight against his own people. But there is another predicament, and, unknown to David, a crisis. The predicament is that the Philistines are attacking Israel and, in the battle, Saul and Jonathan will be killed. David and his men would have done nothing -- while they had not fought against their own people, they had also not fought for their own people. The crisis is that, while they were at the battle line, Israel's other enemies, the Amelekites, had attacked David's home city, Ziklag, and carried women, children and plunder off into captivity. If David had not been delivered from fighting in the Philistine-Israelite war, it would have been many days after the attack on Ziklag, but now it was just afterwards and David is in a position to rescue them. But not only does their "early discharge" from the Philistine army resolve the crisis of the "Ziklag kidnapees" but it resolves David's predicament too, because now, instead of being passive while the Israelites are fighting Philistines, David is now fighting Israel's other enemy, the Amelekites. "Ah it's all coincidence!" say the scoffers, but one cannot deny the perfect timing of all these intricate events and it's actually easier to believe that it was God's faithful hand in all this than to believe that it was random coincidence. So too we find God mysteriously at work in the crises and predicaments of our lives. The Philistines gathered all their forces at Aphek, and Israel camped by the spring in Jezreel. 2 As the Philistine rulers marched with their units of hundreds and thousands, David and his men were marching at the rear with Achish. 3 The commanders of the Philistines asked, "What about these Hebrews?" Achish replied, "Is this not David, who was an officer of Saul king of Israel? He has already been with me for over a year, and from the day he left Saul until now, I have found no fault in him." After David had spared Saul's life a second time, Saul resolved to leave him alone. But David was not comfortable with staying in Israel and so he went to Gath to live with the Philistines under king Achish. This move meant that Saul stopped pursuing David and King Achish gave David the town of Ziklag to live in. David's time in Ziklag was a very dangerous time: David pretended to be conducting raids into Israel, but he was actually attacking foreign nations who were enemies of Israel. David managed to get away with this "double-agent" life for quite some time, but it would all come to a head when the Philistines decided to attack Israel. "Saul has slain his thousands, and David his tens of thousands." It's such a delicious irony. The folk song that made Saul want to kill David is now the song that gets David out of having to fight his own people. And then king Achish comes, reluctantly sending them home. Apologising to David and David struggling to suppress a smile. And He still rescues us today! I've been asked to write a daily devotion on this passage but to stick to certain guidelines such as "What does the passage say about the church being missional? ", "What Reformation for our own souls is suggested (or demanded) by this passage? I think these are nice questions but I don't want to answer them so directly because I think the passage is more about Jesus wanting us to have a spontaneous and uncomplicated relationship with him. A relationship that doesn't consist of obligations, of ticking the boxes, of doing this or that to please him. He got up the nose of the Pharisees precisely because of this kind of interaction over the kingdom of God or, in this instance, who was the greatest in the kingdom. In a legalistic world, especially of Judaic Pharisaism being able to tick boxes was a sign of holiness, while your heart could be stone cold hard and dead. Against that horrible image, of a life of obedience but with no love for the one you are claiming to obey; Jesus puts a child in the middle of the group and says, be like this one: children who wear their heart on their sleeve, who cannot hide when they feel love and when they give love and are happy to show their spontaneous joy to those around them, and their innate fear of things that will harm them. So I'd like to leave you with a few other questions about being like a child with God: when last did you do something quite spontaneous, and for no other reason than the love of God had made you do it? When did you give and not count the cost in some action? When last did you cry before God or with God about some of the horrible things in the world, the evil that makes us unsafe? How often do you express spontaneous and abundant joy in worship, like a child would innocently dance at the sound of music, not being too conscious of what others may think? Rod Botsis is the minister at Belville Presby, husband to Mandy and dad to Hannah and Rachel. This brings us to the end of the Month of Mission Devotions. We hope that they have been a blessing to you. It was a shock to receive the news of the sudden passing of the Rev Abraham Nkhata on the 9th of September this year. Abraham was a faithful and hard-working member of the UPCSA's Mission and Discipleship Committee. He also served as the Convener of M&D for the Synod of Zambia and always attended to his tasks as Convener with diligence and excellence. He was the minister at John Knox Presbyterian Church, Ndola, in the Copperbelt Presbytery and he will be sorely missed by the UPCSA. On behalf of the Assembly M&D Committee, I would like to dedicate this past month's readings and devotions to Abraham's memory. His wife, Rhoda, and children remain in our prayers. "Well done, good and faithful servant." Paul wrote his letter to the church in Rome to convince them to support him on his proposed missionary endeavour to Spain. His letter was not his CV, but his manifesto - a picture of the gospel he preached. This was the gospel of which he was "not ashamed" because it was the "power of God for salvation" (1:16). He has excited because "a righteousness from God, apart from law, has been made known"(3:21), because "at just the right time, when we were still powerless, Christ died for the ungodly" (5:6) and "while we were still sinners, Christ died for us." (5:8). He could triumphantly proclaim "you did not receive a spirit that makes you a slave again to fear, but you received the Spirit of heir-ship." Earthly Kingdoms are about power, wealth and greed. When it comes to earthly kingdoms, Darwin's survival of the fittest becomes the survival of the fattest! In earthly kingdoms greed, self-enrichment, abuse of power and self-aggrandisement are the order of the day. But if God's kingdom is not about power, wealth, appetite or greed, then what is it about? It is about lives changed by the transforming power of the Holy Spirit. - Jesus' righteousness imputed on us. It's about serving Christ and not ourselves or anyone else. It's not our church or our denomination. It is about Him! It's about doing things God's way (pleasing Him), and, in so doing, impacting our communities (being approved by people). (Think of the Church in Acts 2 "praising God and enjoying the favour of all the people"). If you want to receive these devotions in email, sign up at http://eepurl.com/cgVDBb. 34 "Who has known the mind of the Lord? Or who has been his counselor?" 35 "Who has ever given to God, that God should repay him?" The Old Testament is filled with the GLORY of God. The word for glory in Hebrew literally means "Heavy". The New Testament, too, is saturated with the GLORY of God. Over the years I have become increasingly amazed at the way John, in both his Gospel and First Letter again and again speaks of the GLORY of God interchanged with the GLORY of Jesus Christ, His Son. This GLORY in all its wonder, height and depth is shown most triumphantly -- most gloriously and most surprisingly, in the SACRIFICE of Jesus on the Cross -- the ultimate act of Sacrificial LOVE is the ultimate GLORY of Christ and, therefore, also of the Father. John 3:16 God so loved the World that He GAVE His only begotten Son ..."
Because of the Love and Obedience of the Son to the Father and their combined LOVE for the World, they are glorified and Jesus prays that as He has been glorified, this GLORY may be passed on to His followers (Disciples) -- those present at that time and all who come after them. He prays and urges His followers to pass on this ultimate GLORY of God by loving one another as He has loved them, and that no greater Love has anyone than that he/she lays down their life for their friends. "O the depth of the riches of the wisdom and knowledge of God! When I was a young man I read a book by JB Phillips entitled Your God is too small. Again and again we need to realise how GREAT God is - beyond our finite understanding. This is the God who loves each one of us, enough to suffer and die for us on the cruellest Roman gallows, and who asks us not only to love Him with all our heart, mind, soul and strength but to LOVE ONE ANOTHER as He loves us. Glen Craig is a retired Minister with an Ecumenical heart, still happily ministering virtually full-time. He is married to Jeanette and they live at Kenton-on-Sea in the Eastern Cape. 2017-10-28 [Month of Mission 2017] A Kingdom Prayer: Lead us Not into Temptation but Deliver us. A Kingdom Prayer: Lead us Not into Temptation but Deliver us. A right view of God leads to a right view of ourselves and a right view of the world. From the moment Jesus Christ set foot upon the earth, the Kingdom of God burst forth into the world and with it a new wave of worship, understanding God's word, and a new way of relating to God. As we come to the last lines of the Lord's Prayer, we should remember that the first part of the prayer pointed us to God, our eyes are lifted heavenward, and we are reminded what a right view of God looks like. The second part shows us how the right view of God enables us to both relate to the world and to resist the evil one. This is the essence of the last lines of the Lord's Prayer. We are to ask for God's protection "and lead us not into temptation, but deliver us from the evil one." God would never tempt the believer, because it is not His nature to tempt us, though He may at times test us to refine our faith. The last lines of the Lord's Prayer are to do with protection from the devil, the Prince of lies. When he comes to tempt us, like he tempted Jesus, we will be given the strength both to endure and to escape his schemes. As believers, we must pray to be led out of temptation, delivered from evil, so that we might not fall short and sin. Through Christ we will be led onto the paths of righteousness. The Reformers understood that a right view and a right relationship with God would help them to resist the world the flesh and the devil. Today we are still confronted by all sorts of evil and schemes from the Devil. There are temptations by our pride, lust, greed and self-reliance. There are evils of social injustice, corruption, and hate all about us. The Lord's Prayer reminds that when things seem darkest, we can look to heaven, receive strength from our heavenly Father to resist evil and join him in His rescue mission to the world. The reformer, Martin Luther said that when one feels down and overwhelmed, to "say the Lord's Prayer, and tearfully tell God what you need. ... God wants us to pray, and he wants to hear our prayers---not because we are worthy, but because he is merciful." And as the Risen Jesus reminds us, believers triumph over the evil one "by the blood of the lamb by the word of their testimony" Rev 12:11a. Douglas Bower is the minister at St. Columba's Church in Hatfield, Pretoria. He enjoys mountain biking, walking the dogs, spending time with his wife Caitlin, and playing with his baby son Joshua. We often refer to verses 9-13 as the Lord's Prayer but it could be more accurate to title it "The Disciples' Prayer". Jesus does not give us this prayer for memory or repetition. It is not intended to serve as a substitution but as a pattern as to how we should pray. The purpose of prayer is to glorify God's name, and to ask for help to accomplish God's will on earth. Thus this prayer begins with God's interest, not ours: God's name, God's kingdom, and God's will. Prayer brings us into the mind, heart and will of God. It helps us to see things the way God sees it rather than the way we often want or desire it to be. A Kingdom prayer is therefore a prayer established and set in God's will. It may be a dangerous thing to pray and act in God's will. 500 years ago Martin Luther dared to pray and respond to God's calling to revive and reform the Church. It led to the formulation of his 95 Theses which challenged the Roman Church, leading to his excommunication and the start of the Protestant movement, even though he had no intention of breaking away from the church. For the reformers the unity of the church was always central and essential. It still is! To be reformed is to be ecumenical. One of the serious issues Luther raised with the church of his day related to the Sale of Indulgences which advocated that people could 'buy' their salvation and 'earn' forgiveness. Luther was clear that salvation is in Christ alone. We are saved by grace, through faith. In verse 12 we pray "Forgive us our debts, as we also have forgiven our debtors". This is not intended to suggest that believers earn God's forgiveness by forgiving others; this would be contrary to God's free grace and mercy. Put simply, it means that we are able to forgive others because we know what it means to be forgiven by God. If we have truly experienced God's forgiveness, then we will have a readiness to forgive others. In the midst of brokenness, pain, suffering, sin and struggle, the world is in dire need of a message of love and forgiveness. It is not in earning but in yearning for the love and forgiveness of Christ that we receive hope, peace, joy and the gift of (eternal) life. Herein is our mission responsibility of proclaiming Christ to the world. Kingdom people hear, receive, live and share the kingdom message as we pray "Your Kingdom come". Are you? Kingdom people know what it means to forgive because we have been forgiven. Are you a kingdom person? Jerry Pillay is teaching Church History at the University of Pretoria. Only by grace he is blessed to be married to Sandra and through faith and good works have raised 3 adorable children: Jessie, Janice and Aaron. The baker bakes just enough bread for each day because any excess will be stale and will not be good or enjoyable. Secondly, the baker faithfully supplies the bread without fail because he knows that the whole community depends on that bread. Thirdly, the baker chooses the best ingredients so that the bread provides the nutritional needs of the people. The Kingdom of God is a Kingdom of faith, faith in God alone to supply us our daily portion. God is the ultimate supplier of our bread, our needs as individuals and as a church. Yet many times we prefer to be supplied from the bakeries of the world and to end up having too much cake in our possession, only to find that when they are not God given or God directed, the cakes cause us unwellness. Or we hoard bread in the form of possessions, positions, programs, people and their promises, because we fail to operate "by faith alone." We end up seeking salvation for our sorry situations in these excesses, yet we teach our children that any food taken in excess will give you a tummy ache. The Kingdom of God is like the church which goes about its daily mission in the faith that God supplies what they need in the right portions and at the right time. The church that is not greedy for fast food success, or pop-star popularity, or politics style control. It is a church whose modus operandi is one of a faith-based peace of mind, faith-based drivenness and a faith-based dependence on God. That is what Jesus meant by, "Give us today our daily bread." It is a humble yet confident request for security, God given security. Based on "faith alone." Lydia Neshangwe, minister at St Andrew's Presbyterian in Bulawayo, married to Paul and mum to two boys, and seeker of wholeness for all. In this passage we see Jesus introducing a new concept about relationship between God and the faith community. We are God's Children and he is our Father. In Galatians 3:26 Paul says "For you are all sons of God through faith in Christ Jesus" and in 2 Corinthians 6:18, Paul says 'And I will be a father to you, And you shall be sons and daughters to Me," says the Lord Almighty'. As children of God our spiritual DNA shows that we are his offspring. In John 1:12 Jesus said, 'But to all who did receive him, who believed in his name, he gave the right to become children of God', through faith we are God's children and Christ is our brother and friend. We need to treat God with great respect (Hallowed be your name). In Exodus 20:7, the Bible says 'You shall not misuse the name of the Lord your God, for the Lord will not hold anyone guiltless who misuses his name. The American Heritage Dictionary defines hallowed as, "sanctified; consecrated; highly venerated; sacrosanct." To hallow is "to make or set apart as holy. To respect or honour greatly; revere." In simpler terms, we often use hallowed to refer to someone whom we should treat with awe and respect because he or she deserves it. God's kingdom has to do with His ways and order. According to John Calvin the Kingdom refers to the presence of God's rule on earth. So here we are asking that God's ways and order happens here, as they are fully obeyed in Heaven. This kingdom is spiritual which occurs in peoples' hearts, as well as eschatological which will come with outward glory and be fully consummated at some future date. His reign in us has practical dimensions and so we have the great privilege place our needs before him and, through faith, we receive them (as we ask for daily bread). We also pray what St Augustine called the "terrible petition" because he realized that if we pray "Forgive us our debts, as we also have forgiven our debtors" with an unforgiving heart, we are actually asking God not to forgive us. We also ask for God's protection preventing us from the affection and effects of sin. This amazing prayer is about God's glory and His coming Kingdom. It is about allowing His reign to become reality in us and it invites us to ask for His help (daily bread, forgiveness and protection). In thinking of prayer as an African woman, what comes to mind is "weeping" or "crying". I have never seen or heard an African woman praying without shedding a tear. I am thinking of the triple jeopardy of my own mother, grandmother and many women that I have ministered to and many prayer services that I have conducted for and with women, which always ended up in tears. I approach this passage with the question "What makes an African woman cry when she prays?" I problematise this cry, as a cry for life, liberation, land, economics, patriarchy, aesthetics, ethics, creation etc. In the first verse of this chapter, Jesus cautions us not to be like hypocrites, who when they pray, stand in synagogues and street corners for the world to see but rather we ought to pray in secret. What Jesus seems to suggest is that firstly prayer is an inward-looking process. In prayer, we need to come back to ourselves and reflect on our experiences as we then approach God, who then teaches us how to pray. We approach God as human beings with concrete life experiences. Prayer in that sense becomes a lived experience and journey. In addition, the prayer that Jesus thought us affirms this. "11 Give us today our daily bread. 12 And forgive us our debts, as we also have forgiven our debtors. 13 And lead us not into temptation, but deliver us from the evil one." What this implies then for the church, is that mission should be an inward-looking process. In being a missional church, we begin by looking at concrete life experiences. We listen to the cries of those who in deep anguish weep when they pray, i.e. the poor, the oppressed, the outcasts and the marginalised. Whenever we fail to listen and to respond to the cry for life, we contradict the message of Jesus who in John 10:10 says, "I have come that they may have life, and have it to the full." Rev Fundiswa Amanda Kobo is Lecturer in the Discipline of Christian Spirituality at UNISA. She currently serves in the Ecumenical Relations Committee of the General Assembly and is also one of the UPCSA representatives to the Church Unity Commission (CUC). 2017-10-23 [Month of Mission 2017] A Kingdom Prayer - Our Father. A Kingdom Prayer -- Our Father. In various religions it is customary to collect the names of the deity e.g. the "ninety-nine beautiful names" in Islam. Jesus' name for God here and throughout the Gospel accounts is strikingly simple and uncomplicated: "Father." Jesus spoke very intimately of "My Father" or absolutely of "The Father" or of "Your Father" to the disciples. Jesus tells Mary Magadlene to "go, tell the disciples that I am ascending to your God and to my God, to your Father and to my Father". But in this prayer, he speaks of "our Father." This is what the church confesses in its Creed: "I believe in Jesus Christ, his only (unicum) Son, our Lord." Jesus' relation to the Father is absolutely unique. He, and he alone, God's Son by nature; Christians are God's children by the grace of adoption, and all people are God's "children" in a certain sense, by creation. Jesus alone, is God's Son by right and he shares this status with us that we can call God our Father too and especially in prayer. In the OT at Yahweh is not introduced (Ex.20:2; Dt.5:6) to Israel coldly as Yahweh the God but warmly as Yahweh your God. In a similar manner Jesus introduced God to the disciples at the Sermon on the Mount not coldly but with a tone of affection as our Father. Although he uses the Greek word "patêr" here, in his own prayers he often used the Aramaic word "abba" which is an intimate term for fathers used by children both young and old. Abba is a word for affection and love. At the same time, the word "father" carries connotations of authority. The Father is the one responsible for the child: he is the child's progenitor and so its guardian, provider, and Head. The word, has elements of strength in it beyond its obvious tenderness. The word "our" is significant because it turns even individual prayer into prayer for others. The Lord's prayer, right from it's beginning, is an intercessory prayer. The "our" teaches us that when we address God as our Father we address Him on behalf of all the rest of us, too. Jesus having made prayer private with his store room (v6), now makes prayer public with his "our." Barclay says "it is very significant that in the Lord's prayer the words, I, me, and mine never occur." The "our Father" in the Lord's prayer will help in fighting classism. The Lord's prayer plants a democratizing time bomb in culture; it is both leveller and elevator. Approach the throne of God with this understanding that we belong to God and He is our Father who cares about our yesterday today and our tomorrow's needs and situations. Christopher is husband to Rhoda, Father to Wanagwa (19), Kondwani (19) and Wongani (11), minister at David Livingstone Memorial Presbyterian Church in Livingstone Zambia and enjoys serving the Lord in the UPCSA. Then Jesus said to them, "Oh, how foolish you are, and how slow of heart to believe all that the prophets have declared! Was it not necessary that the Messiah should suffer these things and then enter into his glory?" Then beginning with Moses and all the prophets, he interpreted to them the things about himself in all the scriptures. 5oo years ago on the 31 October, 1517, a young German monk strode up to the church door in the town of Wittenberg with a piece of paper in one hand and a hammer and a few nails in the other. On the paper were written 95 theological points. He nailed the paper to the door. The rest is history. That seemingly insignificant event, say historians, was the start of what came to be known as 'The Protestant Reformation', one of the most important intellectual and spiritual movements in Western civilisation. The monk was Martin Luther and his actions marked the climax of a long personal struggle during which he journeyed, Emmaus-like, from disillusionment to faith, from deep disappointment with his church to a joyful faith in Christ through a rediscovery of the Good News of Jesus. For a disillusioned priest like Luther, for whom the church had become an obstacle rather than the nurturer of faith, it was the opening of the Scriptures that unlocked the joy of faith in Christ. It is hardly surprising therefore that the words sola scriptura (scripture alone) came to be one of the important mantras of the Reformation. Martin Luther's personal circumstances were much different from Cleopas and his friend that resurrection morning when they set out from Jerusalem to Emmaus, their hearts heavy with disillusionment. But both stories involve men grappling with intense disappointment. The Jesus dream had come to naught. The vision had gone. The glory had departed. Then Jesus drew near. He walked with them. He listened to them. And only then did he speak. He opened the scriptures and slowly they were brought under its magnetic spell and their hearts began to burn within them. That is scripture at work! Not 'throwing the Book' but 'opening the Book' and allowing its message of hope and wisdom to change peoples' hearts and their way of seeing. Doubtless Cleopas and his friend had read the passages before, the difference on the Emmaus Road was that it was Jesus who 'opened' the scriptures. Sola scriptura without the quickening Spirit of Christ is dead. It suffocates. Sola scriptura that quickens the heart and kindles the flame of faith is scripture that points to Jesus and is full of him. It is scripture alive. It is scripture that shapes our thinking. It is scripture that heals and binds people together. So let's get back to the Bible as the benchmark of our lives, but let's do so, not with hard pharisaical hearts, but with the humble and listening heart of Jesus. James is the minister of the Hermanus United Church. He is married to Fiona and is of the belief that a day away from Hermanus is a wasted day.